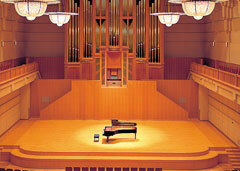 Available on GB1K, you can play with the great sound sampling from a CFIIIS concert grand. Recording and playback functions are also available. Yamaha’s uncompromising insistence on superb sound and resonance, available at a price suitable for smaller budgets. Silent functionality has been added to this GB1K. 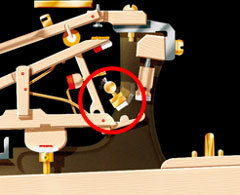 This is a SG2 type Silent piano™ featuring a CFIIIS sound source. 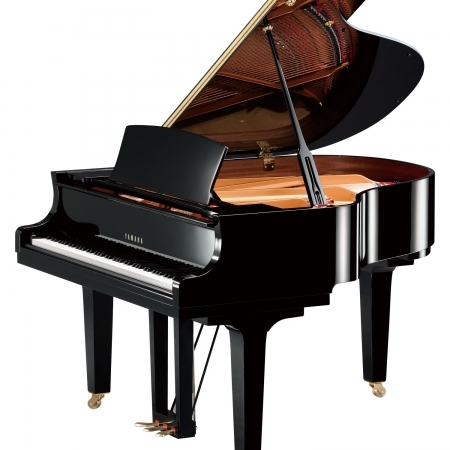 Yamaha Silent Piano™ features a range of unique technologies that allow them to offer a touch that is astonishingly close to that of an acoustic grand piano even when in “Silent” mode. 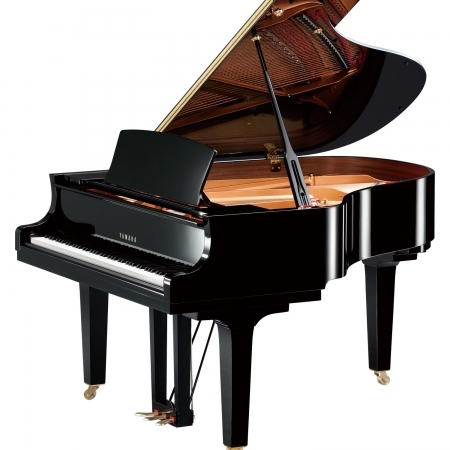 Under each of the 88 keys is a Yamaha-unique continuous-detection grey-scale shutter key sensor. 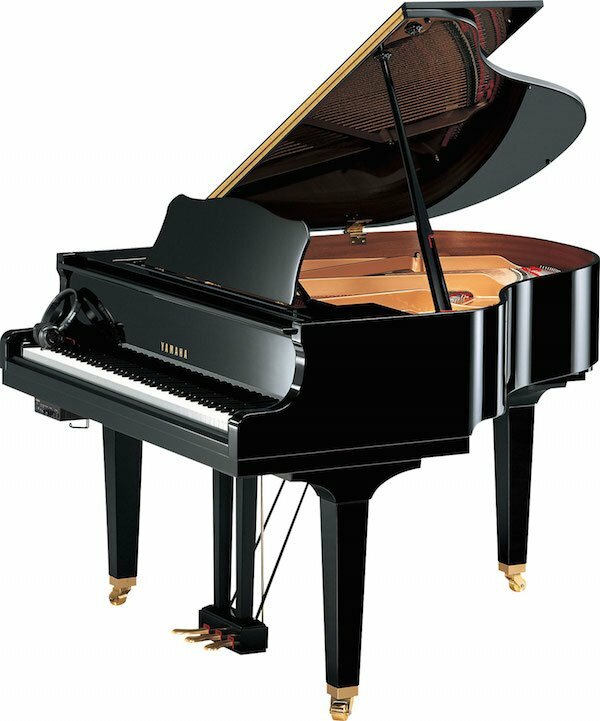 These sensors detect the movement of the keys continually, allowing natural musical expression even when the piano is in “Silent” mode. 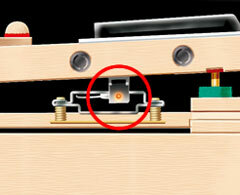 Since they do not come into contact with the keys, these sensors do not affect the feel of the keyboard in any way. 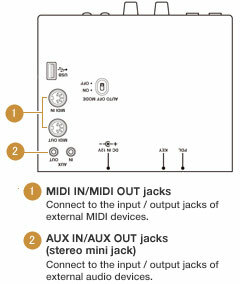 – AUX and MIDI terminals allow the sound to be output to a variety of external devices (e.g. stereo components, IC recorders, speakers with built-in amplifiers, stereo systems). 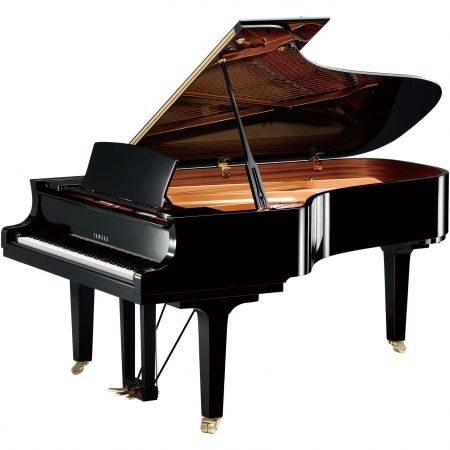 – Connecting SG2 type pianos to external devices such as sound source modules and music players (CD players etc.) via AUX IN terminals allows players to listen to the sound from these external devices on the headphones while they play the piano. 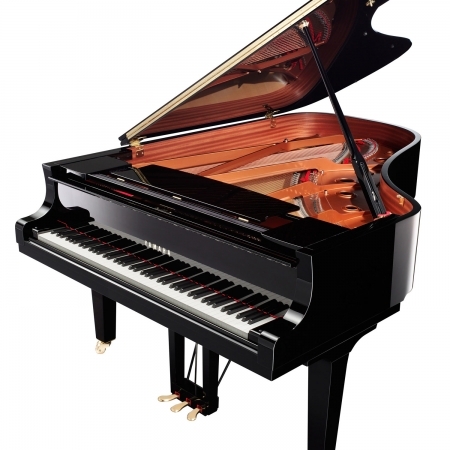 – Connecting MIDI devices such as synthesizers to SG2 type pianos via MIDI OUTPUT terminals allows players to transmit performance information to external devices for playback. – Connecting music sequencers to SG2 type pianos via MIDI IN terminals allows the players to receive and play back the performance information provided by the sequencers using the sound source of SG2 type pianos.